Each sweater is handsewn and made from a premium woven polyester that is ultra-soft and incredibly comfortable. Features a specialty high definition heat-dye application that ensures long lasting color vibrancy even after multiple machine washing. Finished with elasticated cuffs and waist for a stylish and comfortable fit. 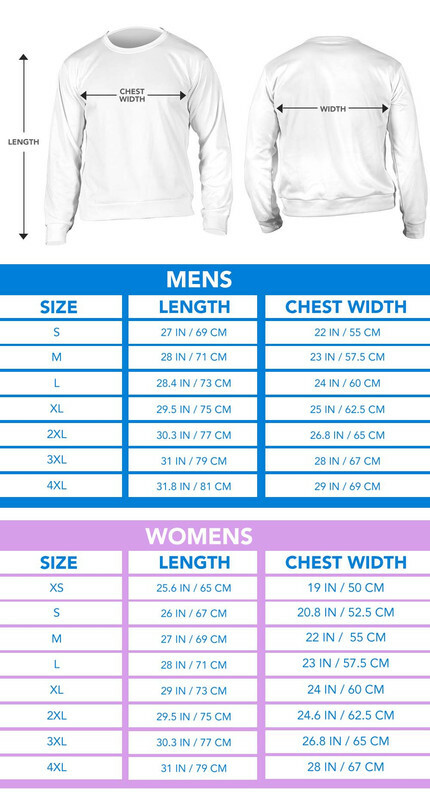 Each sweater is custom printed and made to order.